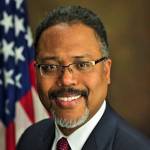 Leonard Bailey is Special Counsel for National Security in the Department of Justice’s Computer Crime and Intellectual Property Section (CCIPS) and a senior member of CCIPS’ Cybersecurity Unit. He joined the Department’s Terrorism and Violent Crime Section in 1991. In the late 1990’s, he served as Special Counsel and Special Investigative Counsel to the Department’s Inspector General where he supervised sensitive investigations of Department officials and programs. In 2000, he joined CCIPS where he has prosecuted computer crime and intellectual property cases; advised on matters related to searching and seizing electronic evidence and conducting electronic surveillance; chaired the Organization of American States’ Group of Government Experts on Cybercrime; and helped found CCIPS’s Cybersecurity Unit in 2014. In 2009, he moved to the National Security Division. As Senior Counselor to the Assistant Attorney General for National Security, he focused on critical infrastructure protection, offensive and defensive cyber policy, and application of national security cyber authorities. He next served as an Associate Deputy Attorney General in the Department’s Office of the Deputy Attorney General, where he coordinated intradepartmental and interagency cyber policy and initiatives and the Department’s work with the National Security Council. He returned to CCIPS in 2013. Mr. Bailey is a graduate of Yale University and Yale Law School. He has taught law courses on cybersecurity and cybercrime at Georgetown Law School and Columbus School of Law in Washington, D.C. He is a recipient of the Criminal Division’s John C. Keeney Award for Exceptional Integrity and Professionalism.